At the moment I make half a billion EVE ISK per day with DUST, passively and free to play. And it was supposed to get more and more. If my last article was dedicated to uncover the flaws in the current iteration of Planetary Conquest, the purpose of this one is to show how to take advantage of those flaws. I already mentioned that most of the ownership changes that happen on the districts in Molden Heath are consensual, and indeed there is a small market for districts. Depending on the facility installed and who you buy from the price for a district ranges from 80mil to 200mil. It’s a lengthy process full of grinding, but everyone can save up that kind of money. If you’re an EVE player you can also use one of the third party exchange services. 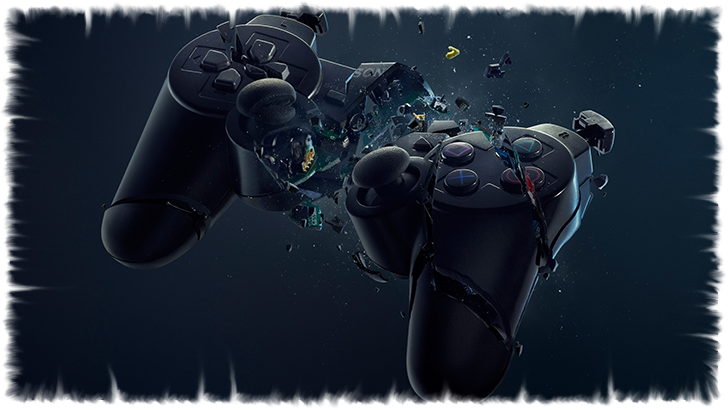 After the district is in your possession you break even after 1-3 weeks. You can also resell the district again. Your assets aren’t completely safe though. After the last post someone took the time to sit me down and explain the “lock picking” to me. It’s pretty straight forward really. You either sit down for half an hour and spam the “attack district” button or you have a spy in the targeted corp who can tell you exactly when matches happen. Since I am alone in my corp I am not overly concerned about spies though. Should your district come under attack you still have the option to hire mercenaries though. In addition to their compensation you loose out on profit for every clone loss (death) on your side. Hiring competent personnel for defense can cost between 15 and 50mil per match. It’s wise not to save money on the defense, since clones are both your income and your shield. 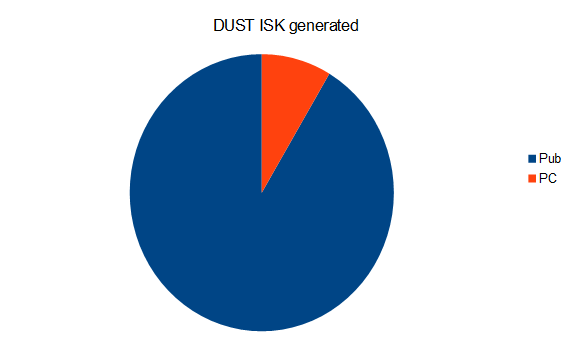 The above picture is a rough estimation on how much ISK is generated in public matches, assuming that the average mercenary doesn’t make a lot of ISK and doesn’t run many matches per hour. The money coming from pub matches could be a bit lower or higher. Since CCP doesn’t publish these kind of numbers I had to rely on logic. Assuming that the chart is accurate it shows that the volume of ISK brought into the economy via PC is dwarfed by the amount of money generated in pubs. So what is the problem? When we look at the amount of ISK available to individual players the tables are turned. Also, take into account that people who earn their money via pub matches have to pay taxes and reinvest a good portion of their income into restocking on items and suits, whereas PC players have the ISK readily available for them. PC reigns supreme. The only real way for corporations as a whole to counter this is to tax their members. But since you either need a quite large and active member base or really high taxes this can prove to be unpractical, even for a corporations with more than a hundred members. “Planet Fight Club is a place where corps that want to break into Planetary Conquest can go to get their footing. It allows fights to be had for fun and training rather than for the cutthroat protection or capture of districts. The lower stakes of PFC matches allow organizations to field members that may not otherwise get a chance to experience Planetary Conquest and lets them grow as players and as organizations. In many ways it is a player created solution for the removal of old corp battles. There are those that are against Planet Fight Club for a wide gamut of reasons. I think much of it is a misunderstanding of what PFC is and what it represents. This is especially true now that the planet is operated by a council made up of those on Oddeluf III. I would say to those that are against PFC to take aside a PFC councilor and talk to them about their experience and the progress that has been made returning PFC to full operation. I think many would find that PFC is better than it has ever been, and hopefully it is something that will last for a long time to come with the resolve of the PFC Council and the will of the greater community to see PFC work. If QA plays along the fix for district locking will be deployed during the downtime tomorrow. I have sold off my own districts because I can not defend them myself. It will be interesting to see how corporations like Nyain San will be able to hold their ground with 100 members and 60 districts. They would need almost 1000 people active to fill all the battles. Grab some popcorn and have a seat, it’s going to be quite the show. Good analysis. 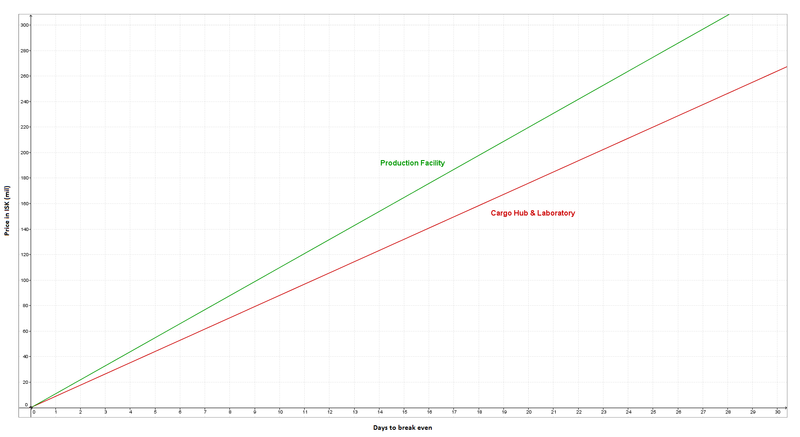 We don’t see many articles going into the in-depth economic mechanics of DUST514. 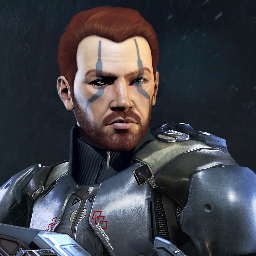 (most likely to CCP not wanting to risk linking the two any further due to rightful fear of massive exploitation.) But it’s good that at least someone is out there analyzing what economic opportunity IS actually there now. are usually wasted simply just trying to figure out how to begin. Any recommendations or hints? I simply want to tell you that I am just very new to weblog and seriously enjoyed this web-site. More than likely I’m going to bookmark your blog . You amazingly come with wonderful writings. Many thanks for sharing your web site. What are some good Tumblr blog sites that permit you to send images, to get even more followers? Do you blog? Do you blog site to advertise things you are offering? I am rather new to the blogging world. I mainly blog site to market products that I am marketing and internet sites that I am selling on. Exactly how do I obtain website traffic to my blog? Do I basically simply require to include content? Does my blog get gotten in the search? Any guidance on blogging is very much required. Hello there, yes I discuss it on my twitter account and also my various other web-sites.